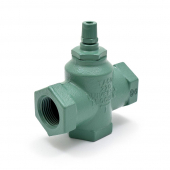 Taco Universal Flo-Checks are designed for use in hot water heating systems to prevent gravity circulation when the boiler is operating, but the space heating zone is not wanted. 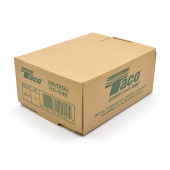 Taco Flo-Check allows to use the heating boiler for domestic hot water throughout the whole year. 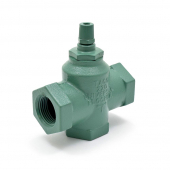 In systems with multiple circulator zones, Flo-Cheks allow heat to flow only into the zones that are calling for heat. 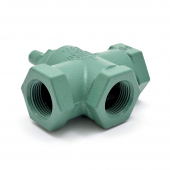 Also, the thumb screw can be manually opened for gravity feed applications if the main circulator stops operating.